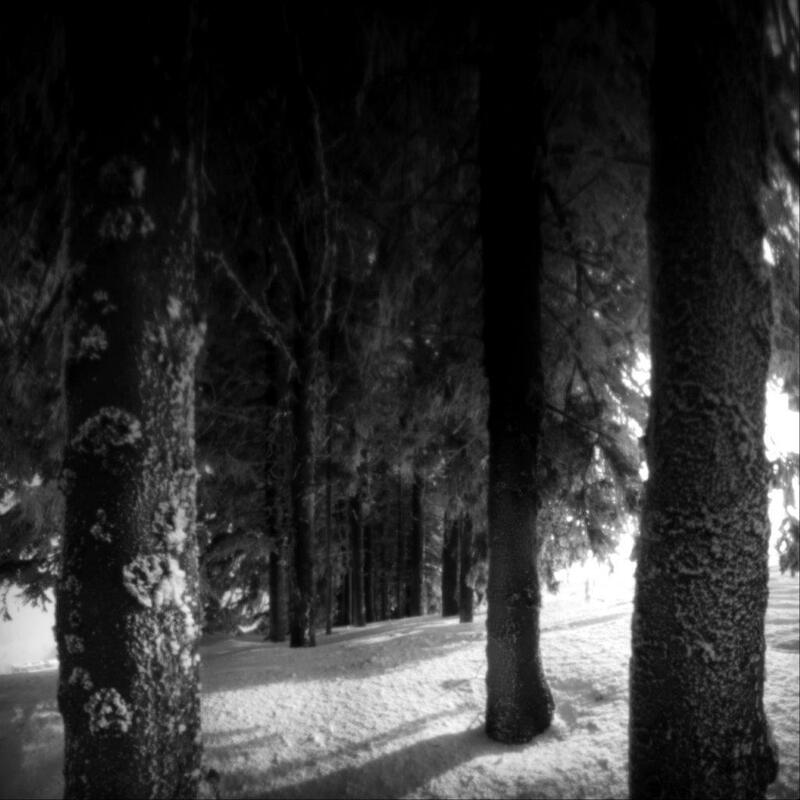 Trees, snow and a deep blue sky. 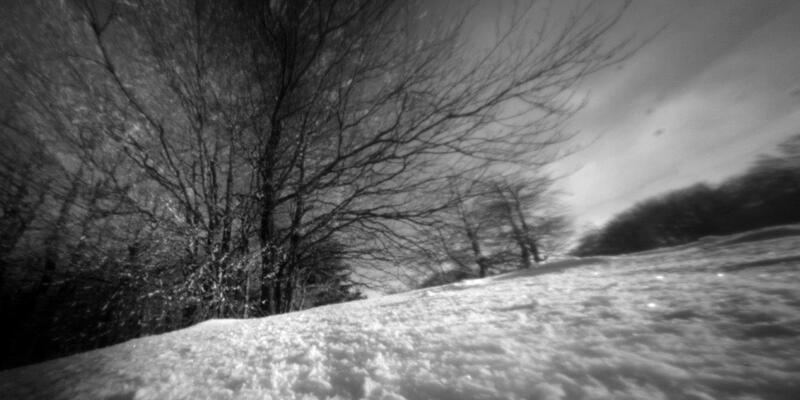 Digital panoramic pinhole images taken at the top of mountain Semenic. 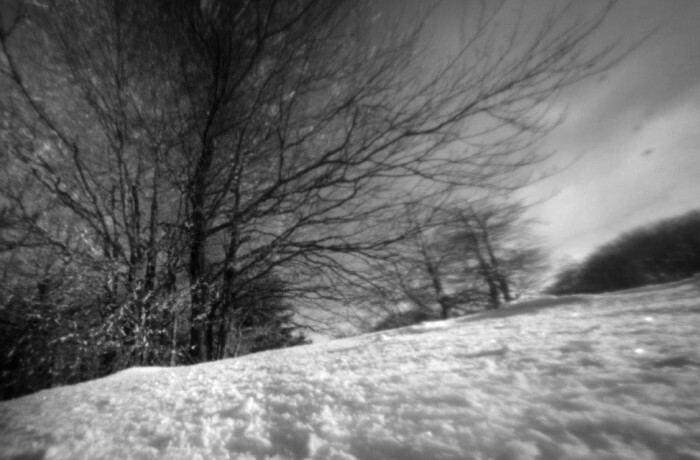 Pinhole 0.12 mm, 9 mm focal distance.